The holiday season is almost here, and we have the perfect gift suggestion for your household: a terrific home remodeling project! Granted, it may cost a bit more than your typical present and won’t fit in a stocking, but we suspect it will last much longer (and provide you with much more enjoyment) than most other items on your shopping list. This is a gift that will keep on giving joy for a long time to come. 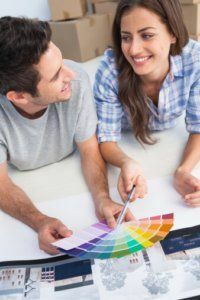 A long-awaited home improvement project can be a great shared gift for you and your spouse or significant other, or even a group present for the entire family. Then again, it could also be a reward just for yourself in recognition of all of the hard work and worthy things you have accomplished all year. This holiday reward doesn’t necessarily have to be a huge, super-expensive project. Perhaps it can be something relatively modest like sprucing up the kitchen or adding some cool high-tech features to the family room. As a special bonus, your new space may provide the perfect place for you to create many new wonderful memories—which would be like unwrapping an ongoing series of meaningful gifts! For your holiday home remodeling project in Scottsdale, RW Remodeling can deliver results that will delight and impress your family.